5+ Death Note Templates – Free Sample, Example, Format Download! 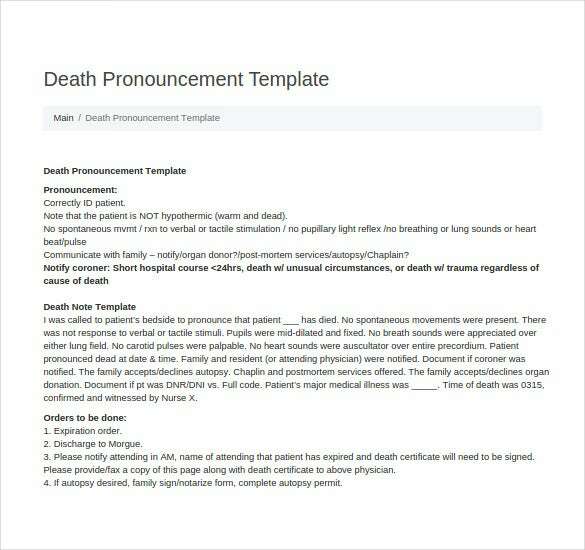 Our website gives you a different range of death pronouncement note templates for the unfortunate event of death in the hospitals. These templates come in different formats and are well-edited for different patient details. You can select the most suitable one for yourself and go on with it. These templates are also available on our website to be downloaded and printed in PDF and DOC formats. 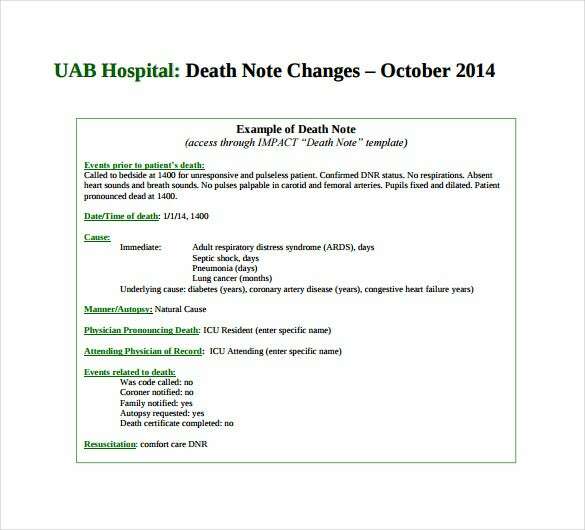 uab.edu | Our website has a wide range of hospital death notice templates that can come in use for a death notice in hospitals. These templates are present in different formats and complete details so that they can be used without any error. Select the most suitable template to work on. These templates are also present on our website in PDF format for printing and downloading. 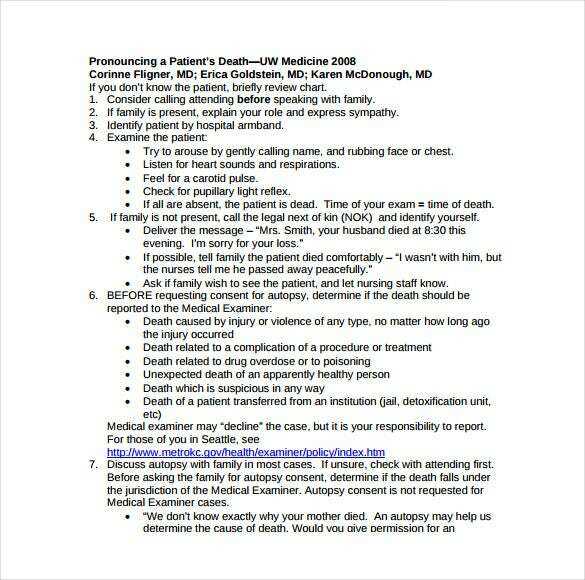 depts.washington.edu | Our website has a wide range of patient death notice templates that can be used in hospitals regarding the death of a patient. These forms come with proper details and formats to be used error-free. Select the most suitable form for use and you can also download and print them from our website in PDF and PSD formats. 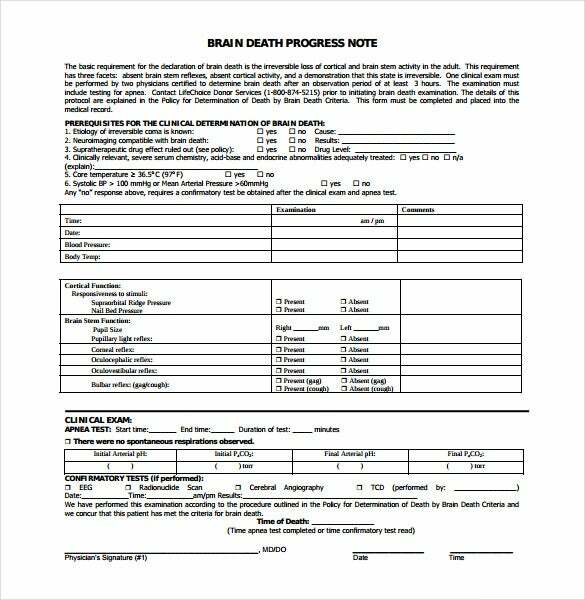 harthosp.org | Our website has a wide range of brain death progress note templates that can be used for informing deaths in hospital. These forms come in different formats and complete details for easy and correct use. You can select the desired one from our range of templates and can also download and print them in PDF and DOC formats. 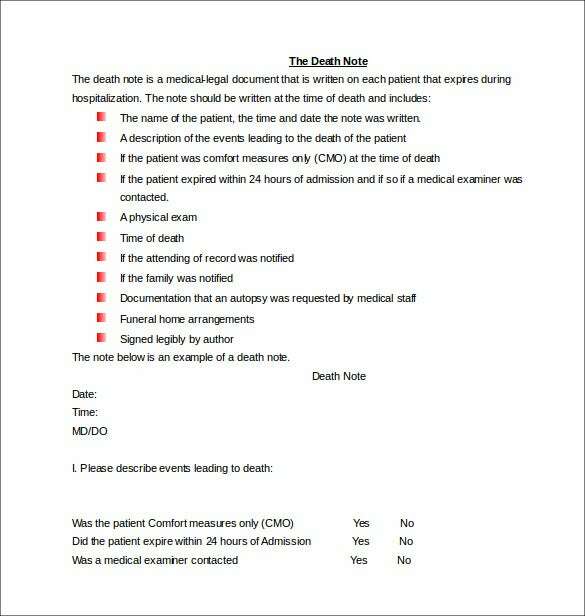 berkshirehealthsystems.org | Our website has a wide range of free medical death note templates that can come to be of use in hospitals. 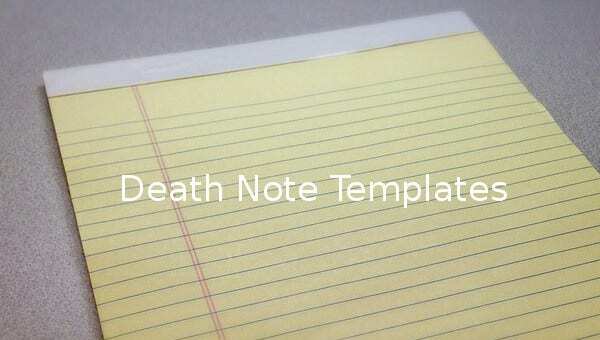 These death note templates are in proper formats and complete details for proper use. You can select the most suitable one for your use. These templates are also present on our website for downloading and printing in DOC format. No one would ever wish to have bad time burying his or her beloved ones. In this case, burial ceremonies are likely to be stopped if this Note Templates is not present.